December inflation data was released this morning in France and Germany. In both countries, the inflation rate was higher than expected and failed to come down relative to prior months. 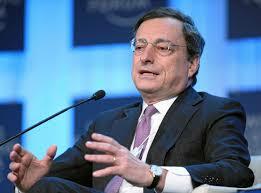 EU harmonized German inflation was reported at 2.3% and EU harmonized French inflation was 2.7%. Two large economies yet to report inflation data are Spain (to be released on Jan 13th) and Italy (to be released on Jan 16th). The stickiness of inflation shouldn’t be a complete surprise because part of the higher inflation in Europe is structural based on labor market and corporate sector rigidities. The process of implementing the structural reforms which have been described as essential will take a long period of time. The positive flow through to inflation dynamics could take years. Despite inflation remaining relatively sticky, it is not very high, hovering around a rate of 2-3%. Nonetheless, the ECB has historically been influenced by thinking from the German Bundesbank and the mandate of the ECB, unlike the Federal Reserve, is a single-mandate: to fight inflation. Mario Draghi pointed out in this morning’s ECB press release that inflation is likely to remain above 2% for some time before it declines to below 2%. As a result of sticky inflation data, a single mandate to fight inflation and thinking which is influenced by the Bundesbank, the ECB is likely to hold rates at 1.0% for the foreseeable future.